You'll be £14.99 closer to your next £10.00 credit when you purchase Chemical Soldiers. What's this? Although the Brigade has received little attention since its disbandment following the war, chemical warfare in World War I has been mythologized, sentimentalized and vilified. Its image has been distorted by legends and sensationalized by half-truths. Taking a new look at the reality of poison gas warfare in World War I and the role of the Brigade, Donald Richter exposes the myths perpetuated over the years by novelists and misinformed sentimentalists and challenges prevailing views. He weaves data from official military records with personal anecdotes from diaries, letters and memoirs to create a real-life account of the formation of the Brigade and the frustration, fear, boredom, pain and day-to-day life that followed. To make the story complete, Richter takes a critical look at the Brigade's leader, Charles Foulkes, revealing a forceful and capable but stubbornly obstinate commander. This book is the best volume I am aware of that gives a modern day perspective on the usage, development and management of gas as a weapon used by the British during WWI. The author takes a fresh look at the realities of using poison gas and the role of the Brigade. Using official material and personal accounts from diaries, memoirs and letters he presents a first-rate history of a little explored area of the war. Lifts the lid on some of the more far-fetched stories and mythologised accounts of the British Special Brigade's work. 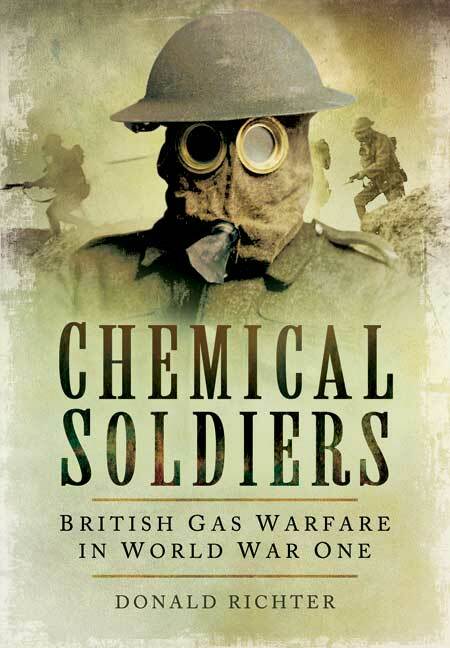 An exhaustive and obviously painstakingly researched piece of work, 'Chemical Soldiers' is essential reading for the centenary. Rich in accounts from the men who served in the Special Brigade, which brings the human element of the story alive and shines a light on a previously untold yet gripping tale of the Great War. The author has woven data from official records with personal data from diaries, letters and memoirs to build a unique and thorough review of the weapons, the British special troops training and deployment and taken a critical look at the Brigade's leader. A good selection of maps, sketches and photographs are used through the body of the book to ably illustrate the text. This is an important book because it provides a balanced coverage of its subjects and exposes myths and misunderstandings that have sprung up over the years. Donald Richter is a professor of history at Ohio University. He is author of Riotous Victorians.